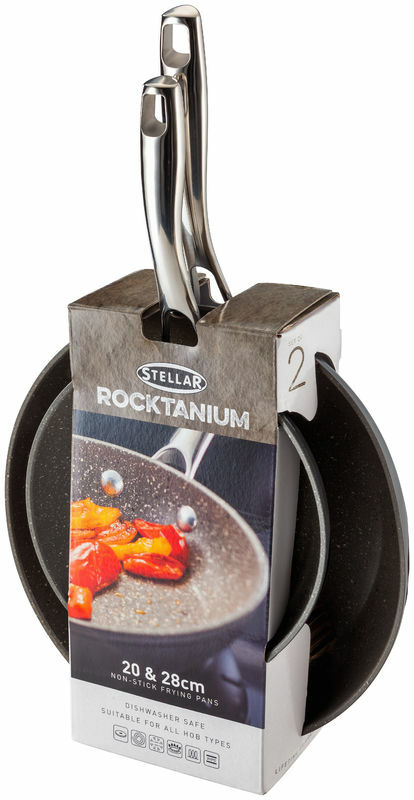 Stellar Rocktanium is a PFOA free cookware range, with quantanium non-stick giving it excellent scratch resistance, and is harder and more durable than conventional non-stick. Complete with an induction base ensuring even heat distribution on ALL hob types, with a moulded riveted, stainless steel handle that stays cool, no matter what is being prepared within. Oven safe up to 210C, and the Stellar lifetime guarantee with a 5 year non-stick guarantee.